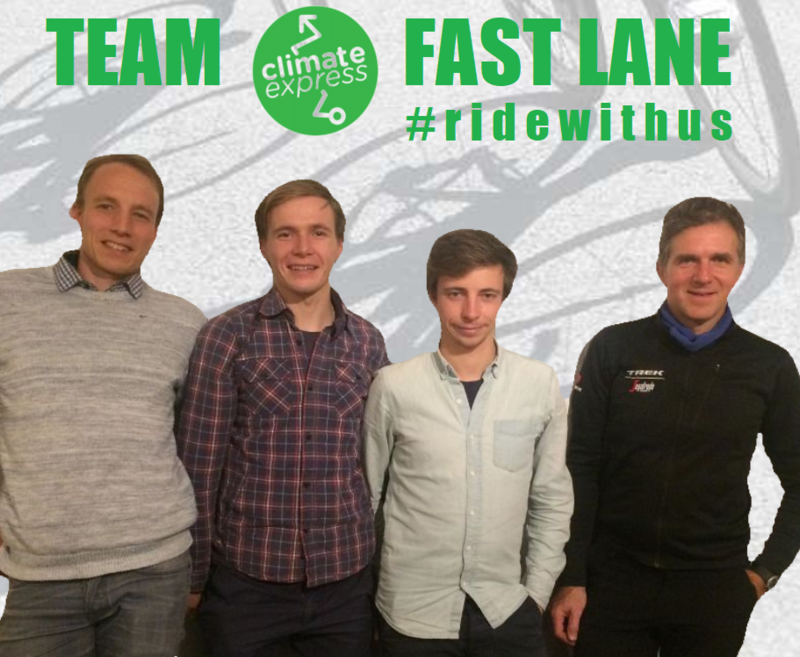 The Climate Express Fast Lane: 4 Belgian cyclists to Katowice! We are Jan, Jelle,Toby and Lander and we will cycle to the Climate Summit in Katowice (COP24)! In 2015 we rode our bikes to COP21 in Paris – a two days journey from Ghent in Belgium. Last year we cycled to COP23 in Bonn – in one day from Brussels! This year we’ll hit the road again and we will bring the last COP’s promises and agreements all the way to Poland. Climate Express is the name of the major climate organisation in Belgium – unifying 1000s of people, all of them asking for climate justice and immediate global action. Climate Express is organizing a huge manifestation in Brussels on December 2nd – the aim is to make happen the biggest climate demonstration in Belgium ever. So… what concerns us, we our proud to call ourselves the Climate Express Fast Lane as we feel we are riding to Katowice for all Belgians! We are cyclists, the world is our playground. All four of us share a passion for the bike, the urge for adventure and the deep concern for our planet’s future. Nature and the wide open air is what inspires and motivates us for physical challenges, the Call of the Road is irresistible. As cyclists, we feel connected, with each other and with the world we are part of. Because of this connection and togetherness we take care both of each other, and of our world. That is the message we want to carry out! We will start our ride in Bonn on Friday November 30 and arrive in Katowice on Saturday morning December 8 to meet a delegation of the Belgian participants to the Climate Summit. We also hope to catch up with the Italian cyclists arriving the same day! Our journey from Bonn to COP24 will cover 1100 km and more 7000 meters of elevation gain – that is almost 150 km a day in average. We will push hard but enjoy harder for sure anyway, see you all in Katowice! Everyday, we will share our stories from the road on our facebook page: https://www.facebook.com/pg/COP24FastLane, mainly in Dutch but there will be a lot of pictures too of course. Ride with us, we’ll ride with you!